More than a Kanban Board. Easily identify bottlenecks, reduce waste and create a smooth & continuous workflow. 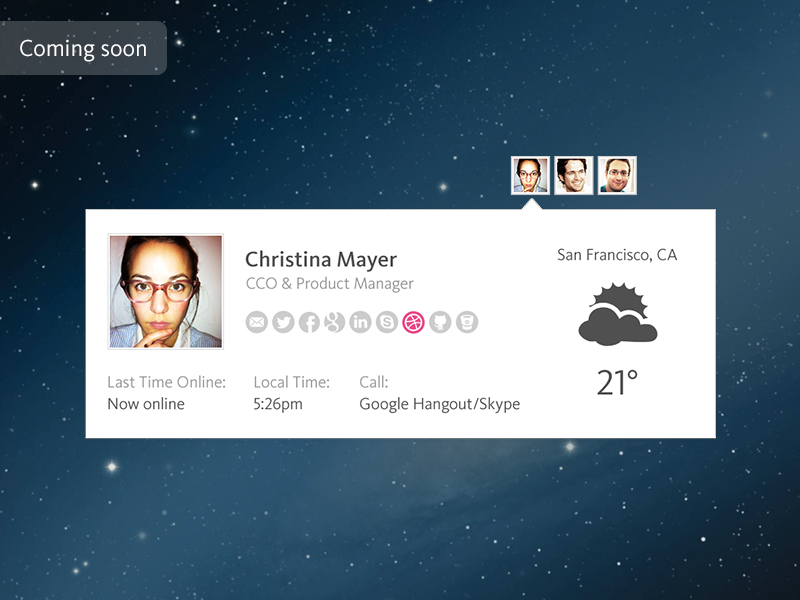 Kanban is a way for teams & organizations to visualize their work. 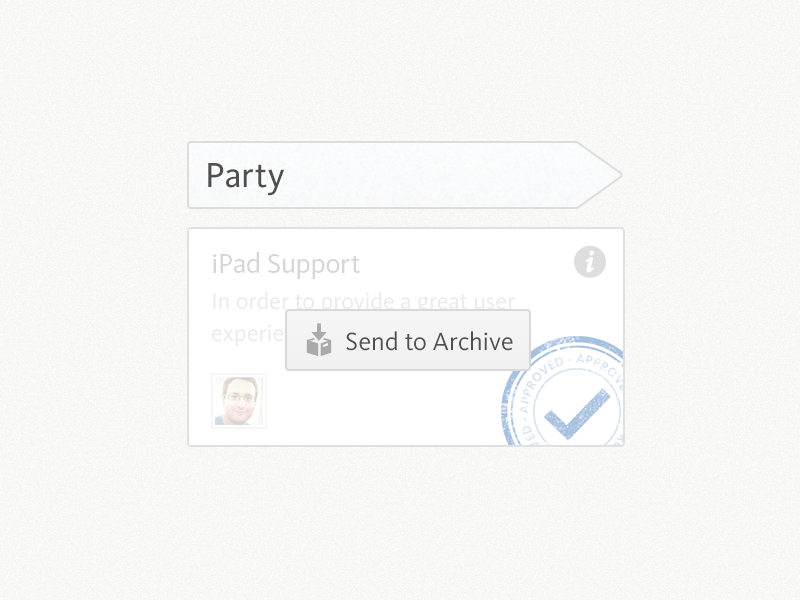 Every team member immediately gets overview who’s doing what and can easily identify and eliminate bottlenecks. Kanban is about continuously improving your process and the way you manage the flow of work, rather than managing team members and their work. Every member of the team and the team as a whole benefits from Kanban. Teams reduce waste by setting the optimal amount of work they can handle at one time which leads to a smooth & continuous workflow. Hence, you can automatically give greater focus to fewer tasks and achieve higher product quality to eventually provide greater value to the customer. 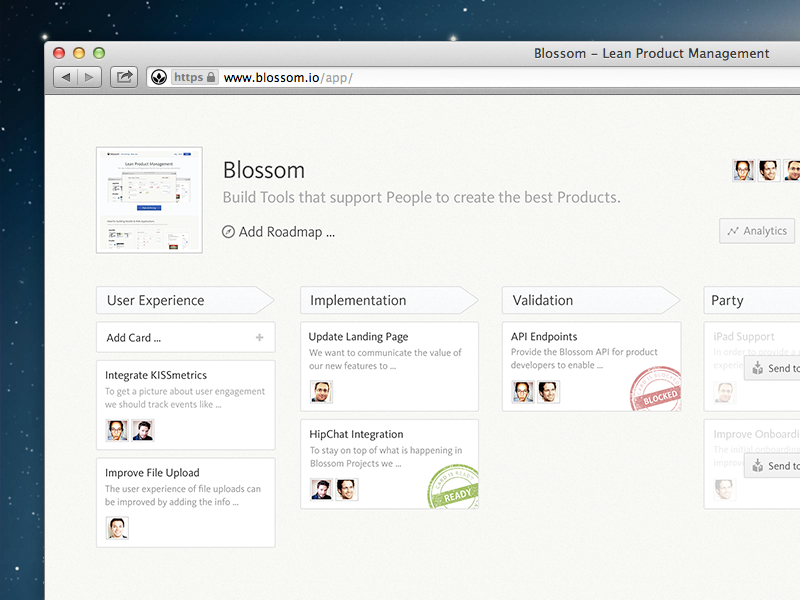 A picture is worth a thousand words — Blossom visualizes your work by using cards on a Kanban board to create a picture of your work. The board makes work visible to the whole team by showing how work is flowing through each step of the process, and provides direct context for the work by showing who is focusing on what & why. We support you & prefer you to focus on the fun part. Building great software. That's what we love. The great thing about Continuous Delivery is that it frees you up from arbitrary time boxes like Scrum sprints. This is why we’ve integrated performance analytics reports right into Blossom so you don’t have to waste your time doing estimates and sprint plannings anymore. 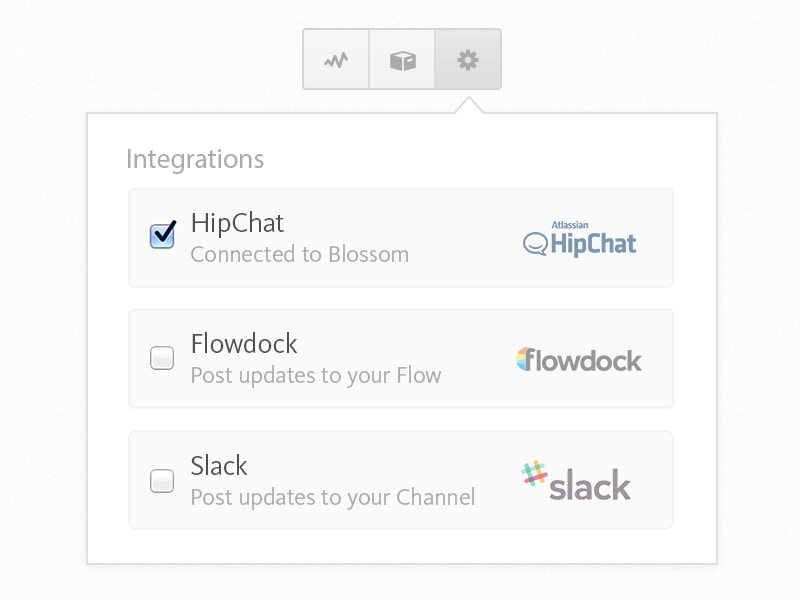 Since many Software Teams are using Team Chat software like HipChat and Flowdock we worked hard to build the best integration the market has ever seen. Blossom posts the most important messages to your Group Chat to keep you up to date. Not more, not less. One of the main challenges with managing software projects is staying on top of what’s currently going on, who’s working on what and whether development resources are spent on the right things. 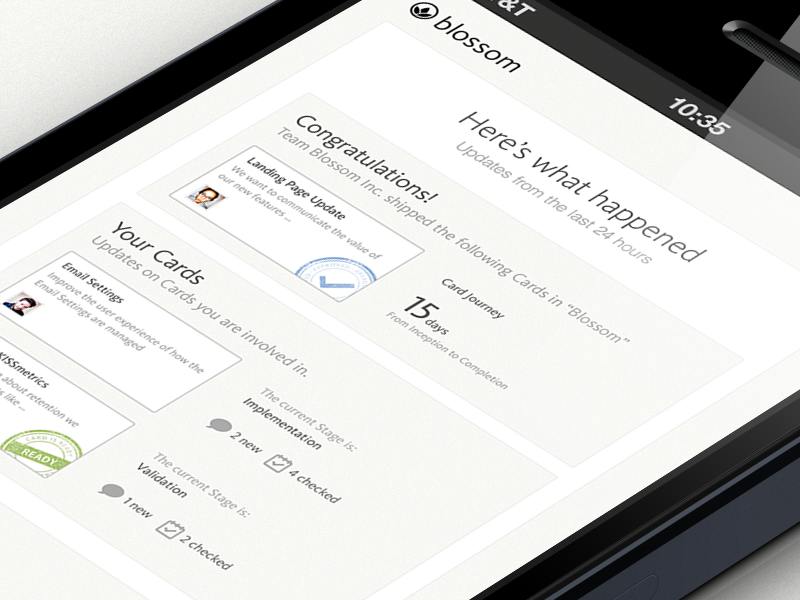 Blossom’s email digests are built specifically to answer these questions without bothering anyone in your team. More and more Software Teams are working in a distributed way. Blossom is built with you in mind whether your team is distributed over different cities, continents or just different floors.